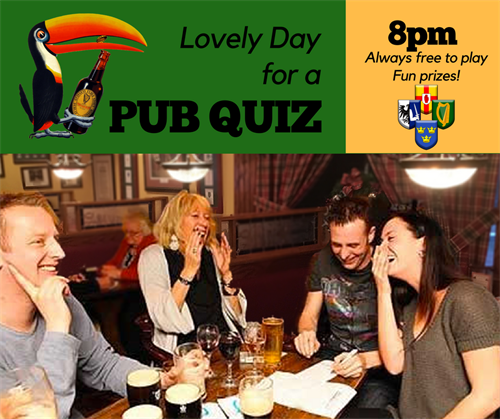 Ireland's Four Provinces invites you to join us for our weekly Pub Quiz: every Wednesday at 8pm! It's fun, casual competition – free to play, with prizes for the winners. Teams of 2-5 players tackle categories of general knowledge, current events, and random subjects: plus, there's an Irish/Ireland related question on every quiz! C'mon to the Pub for great Food, Drink, & mid-week Fun for Everyone!